In Defense of Cornel West: Is Barack Obama Right, or Has Michael Eric Dyson Lost His Mind? 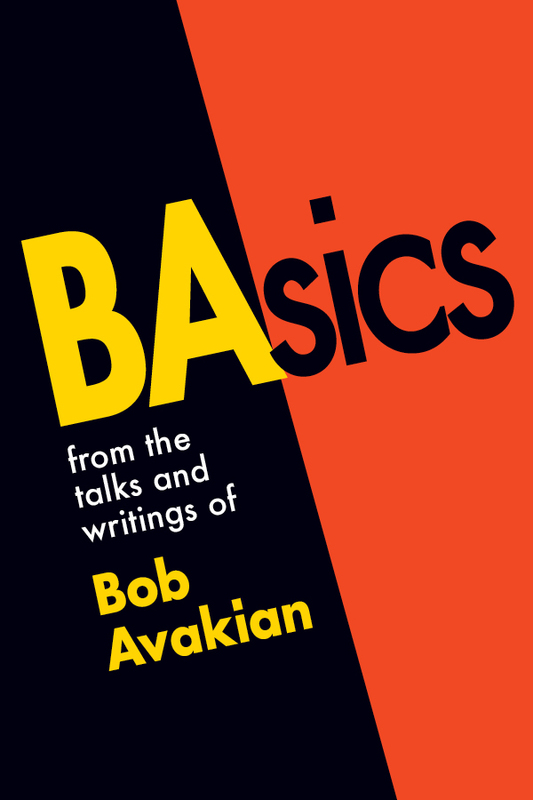 At the beginning of 2012, an in-depth interview with Bob Avakian, Chairman of the Revolutionary Communist Party, USA, was conducted over a period of several days by A. Brooks, a youngergeneration revolutionary who has been inspired by the leadership and body of work of Bob Avakian and the new synthesis of communism this has brought forward. This Sunday, the New Republic posted a vicious attack on Cornel West, “The Ghost of Cornel West,” by Michael Eric Dyson. This attack is not an academic dispute; it is a hit job against a deeply principled intellectual who refused to put away his critical faculties when Obama took office, who has increasingly stepped out into the struggle against murders by police and mass incarceration, and who has done so in a way that condemns and exposes the crimes—and yes, they are crimes—of the Obama Administration. All the sound and fury of Dyson’s long rant cannot hide that essential, and shameful, fact. On one level, Dyson’s attack is beneath contempt and barely merits reply. But because principle and intellectual rigor are currently so debased in this society, and because powerful forces seem intent on promoting Dyson’s takedown of Cornel West, reply we must. 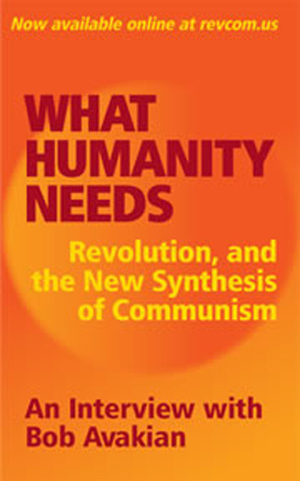 Instead of making a reasoned critique of Cornel West’s actual positions, Dyson vacuums up a toxic brew of speculation on personal motives, rumors, criticisms from all kinds of quarters (some of which he says he doesn’t even agree with), and out-of-context bits and pieces from West’s personal life (taking special advantage of moments where Cornel made himself vulnerable by confiding personal regrets), and then he spews this all over his readers. Dyson has combined this brew with mis-readings of key concepts developed and/or worked on by West (the rise of nihilism in the Black community during the 80’s/90’s, the role of prophecy as a strand in Black leadership, the relevance of jazz to intellectual undertakings, etc.) that are as superficial as they are willful. All of this is designed to overwhelm people’s critical faculties and hide the actual substance of what Dyson is attacking and defending. This is what passes for intellectual criticism in the era of reality TV. Let’s look at what Dyson says. First, Dyson indicts Cornel West for a lack of new thought. Dyson must not have read and listened to West lately, for surely he would have noticed that Black Prophetic Fire is actually a further development of West’s thinking on a number of very important questions. West uses the form of conversations about six pre-eminent figures in the cause of Black emancipation. He draws out the contributions and shortcomings of each as he sees it, and in the process further develops his thoughts on the particular role of the Afro-American people in U.S. history and the current day, the (varying, multiple and sometimes contradictory) qualities of what he calls prophetic leadership, the challenges posed by the current era, among other things. Yes, this is a different form, in keeping with West’s drawing on the jazz tradition—this is improvisation on a theme, done collectively in dialogue with someone who has differing but overlapping views. How refreshing! The actual content of WHAT Cornel gets into here—what he is driving at, how he is posing and approaching these questions, the actual evaluations he makes of these different signal historical figures, the synthesis he is driving at and our respective “takes” on this—is beyond the scope of this letter. What is relevant here is that Dyson, in claiming that West has no new thinking, never actually engages what Cornel has been saying, in this and other works and forums. This kind of blatant non-engagement should be seen as unconscionable and ruling whoever does it out of any sort of serious consideration. See statement by Cornel West at https://www.facebook.com/drcornelwest. If the stakes were not so high, it would be almost comical when Dyson instructs Cornel in “how to deliver criticisms of Obama to Black audiences.” Dyson says you have to start with how much you love and respect Obama and his “achievement” of becoming President, then acknowledge the animosity he’s incurred among the racists and fascists, and only then offer your criticisms for his “missteps and failures.” As Carl strongly pointed out in discussing this with me, this pat little formula totally leaves out the fact that Obama is Commander-in-Chief of the biggest empire in the world, and is raining down terror and horror on people in that role, and these are CRIMES and not “missteps.” Dyson then boils Cornel’s supposed inability to follow the formula to West’s “lack of respect” for Obama, when the key difference between the approaches of Dyson and West is precisely whether you expose the objective ROLE of Obama. Third, it is telling—and speaks very much to the point and purpose of Dyson’s screed—that he delivers a back-handed slap at the fact that Cornel West has increasingly assumed a front-line and very important role in the struggle against police murder. Dyson goes so far as to say that this activity is nothing but stunts for the camera. Let’s look at the facts. One of us, Carl, co-founded the network to Stop Mass Incarceration with Cornel in August of 2011 in a basement meeting with a dozen other people and nary a camera in sight. The first action of this network was to link up revolutionaries and anti-police brutality activists with the Occupy movement in October of 2011 to do a series of civil disobedience actions against Stop-and-Frisk in New York. Yes, Carl, Cornel and the others involved sought to make this known, to get this outrageous abuse in the front of the cameras—innocent as charged! Cornel came to critical, out-of-the-limelight meetings where strategy and political will was forged with the parents and relatives of police murder victims, immigrant rights activists, clergy, and many others and he made time on a number of occasions to speak at events organized by parents and clergy in particular, and to lend his name and platform to their cases. It is highly ironic that the New York actions against the police a week ago which Dyson briefly cited in his New York Times op-ed of Friday April 17 were part of national actions which Cornel and Carl led in calling for and helped to organize, including at a critical rally where the two spoke on April 6 in NYC leading up to these actions. What exactly is Dyson’s problem with all this? Is it that during these past few actions West has been quoted making the point that here we are six-plus years into the reign of a Black president, Black attorney general, and Black head of “Homeland Security” and there has not been a single successful federal prosecution of murder by police? That in fact this crime has grown during their reign? Dyson’s rant takes on what would, again, be comical proportions were it not for the stakes and dangers of these times when, toward the end of his piece, Dyson delivers his pathetic list of Obama’s “achievements.” These are supposed “left-wing” accomplishments that Obama has carried out while cleverly pretending to “talk right.” Here Dyson blots out and covers over Obama’s record as deporter-in-chief, his refusal to even half-heartedly criticize murders by police (let alone do anything about them) until not doing so would have seriously undermined his legitimacy among Black people, his defense of draconian surveillance and attacks on those daring to reveal these crimes, his all-out support for Israel’s genocidal attacks on Gaza, his vicious military predations and outright war crimes from Afghanistan to Libya and most recently Yemen (where, with true Obama-esque double-talk, he now “condemns” the Saudi airstrikes that he himself authorized! ), etc. And as Dyson once knew when he (correctly) took a whole book to go after Bill Cosby’s “pull-up-your-pants” poison, “talking right”—as Obama does when, at his “Brother’s Keeper” press conference in 2014, he all but openly blamed the murders of Trayvon Martin and Jordan Davis on absent Black fathers (when such “absences” have everything to do with the very consciously designed genocidal policy of mass incarceration)*, or when Obama does his own Bill Cosby imitation at places like the Morehouse graduation ceremony in 2014—has seriously bad consequences. There is a further irony here when Dyson, who praised Race Matters when it came out, now faults Cornel West’s criticism of nihilism in that book as “blaming the victim.” First of all, read the damn book and engage it—get into what he’s actually saying and if you, Dyson, have changed your opinion on it now, say why you agreed back then and why you now have changed your mind. More to the point, it’s really outrageous to say this about Cornel, when a large part of his vocation over decades now has been precisely to uphold, defend and stand with in deed as well as word “the least of these”—those who have been cast out, stigmatized, demonized, despised, incarcerated and murdered by this system. I want to conclude by saying that Carl particularly emphasized to me that one has to wonder at the timing of this attack when the network which he and Cornel co-initiated has just mounted a mass outpouring against police murder on April 14, making a major contribution to re-seizing the offensive on this for the movement as a whole. You have to wonder at the timing of this compendium of cheap shots, rank distortions and half-truths, right when we are beginning what promises to be a long hot summer, to invoke that 60’s term—a time when the police have been emboldened by the Justice Department’s whitewash of Darren Wilson’s murder of Michael Brown but when masses of people are increasingly refusing to take this, and not so persuaded by those who would want them to work within the system, and when the Obama administration that Dyson so cherishes has no real answers to this horror. You have to wonder as well why Dyson offers not reasoned criticism or disagreement, but a really foul farrago of snark, half-truths and straight-up slanders, seemingly designed to destroy a rare and important truth-teller and, increasingly, front-line activist at just this crucial time. Michael Eric Dyson: which side are you on? * The conference on Brother’s Keeper took place just days after the anniversary of Martin’s unpunished murder by the vigilante George Zimmerman, and shortly after Jordan Davis’ killer had been found not guilty, in his first trial, of the homicide of Davis. It is painfully ironic that for all of Obama’s emphasis about absent fathers, the very real presence of both these fathers in their sons’ lives could not prevent white supremacy from murdering them. 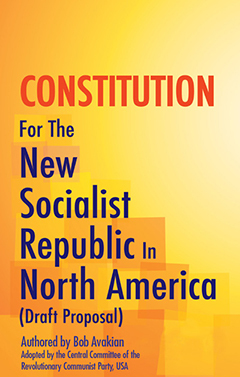 "The Ghost of Cornel West"
A roundtable discussion at Revolution Books with Carl Dix and Andy Zee on the controversial article published this week in The New Republic about Dr. Cornel West by author and political commentator Michael Eric Dyson. Carl Dix is a co-founder, with Dr. Cornel West, of the Stop Mass Incarceration Network. 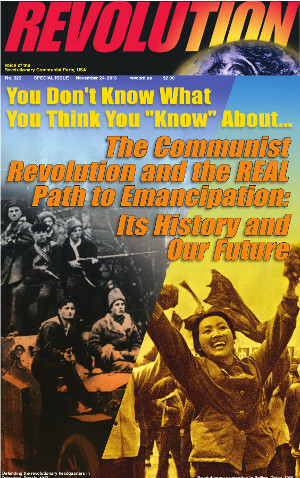 He is a representative of the Revolutionary Communist Party. 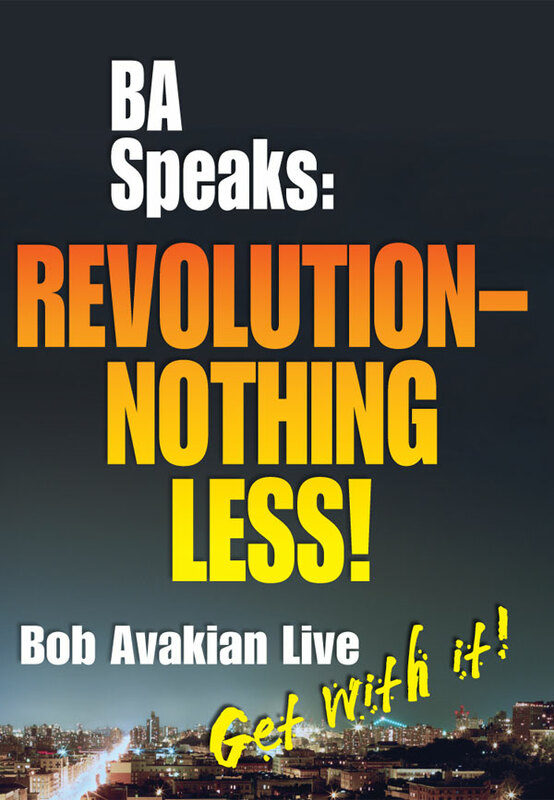 Andy Zee is the spokesperson for Revolution Books, the co-director of a film of the Dialogue between Cornel West and Bob Avakian on "Revolution and Religion: The Role of Religion in the Emancipation of Humanity."